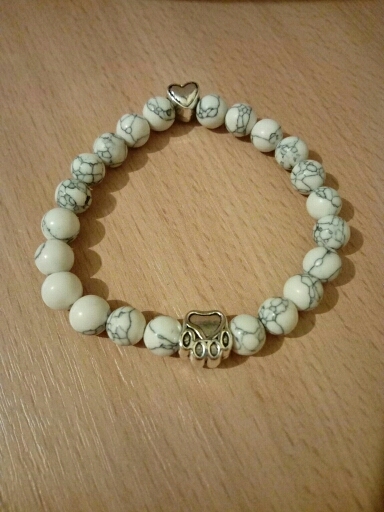 A sweet reminder of your precious to keep close to you! 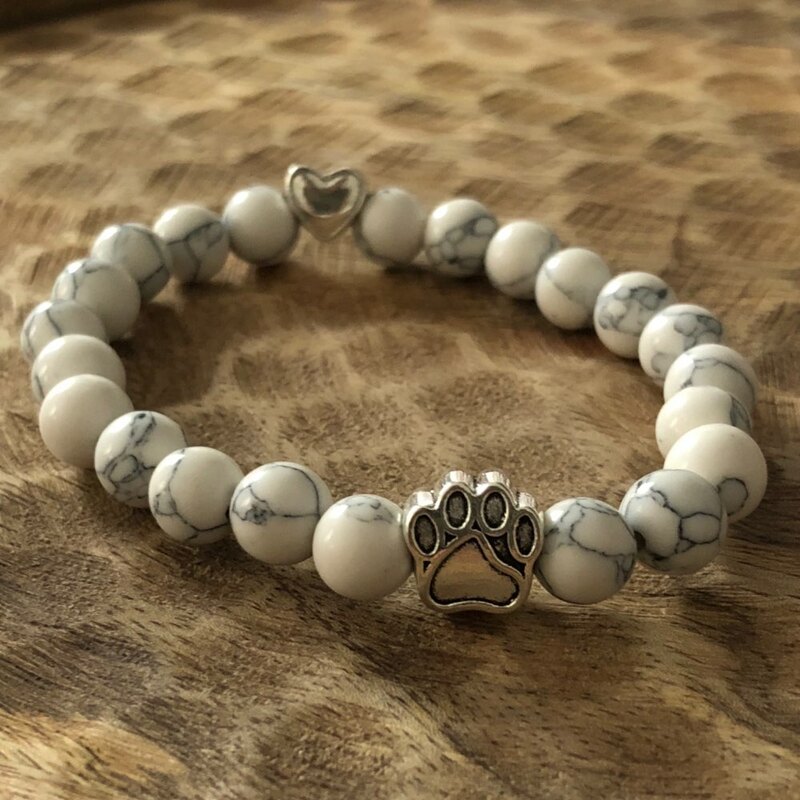 This paw print charm bracelet is made of natural stone. 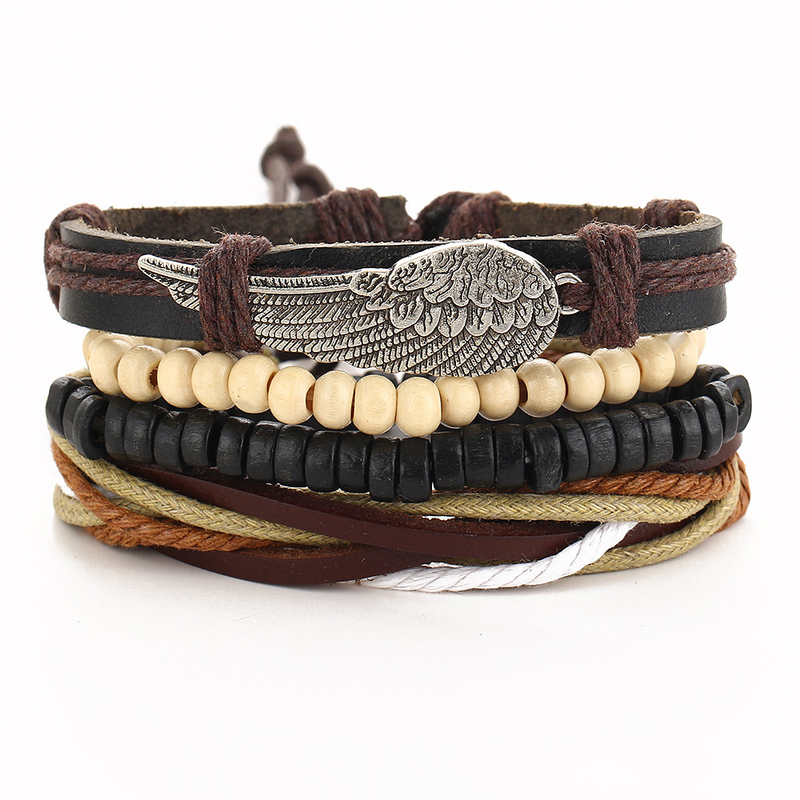 You can wear this bracelet with any everyday outfit, and personal pieces of jewelry you own or give as a gift. 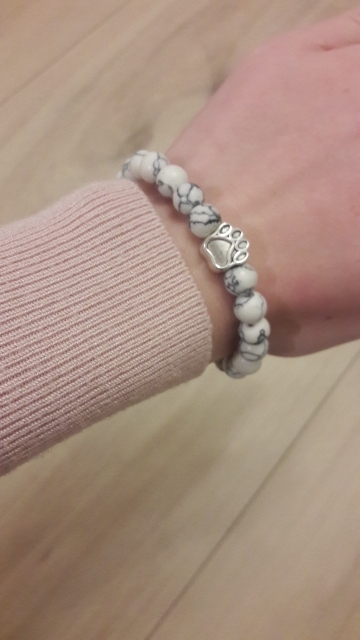 Very nice bracelet. Looks the same as what I received. 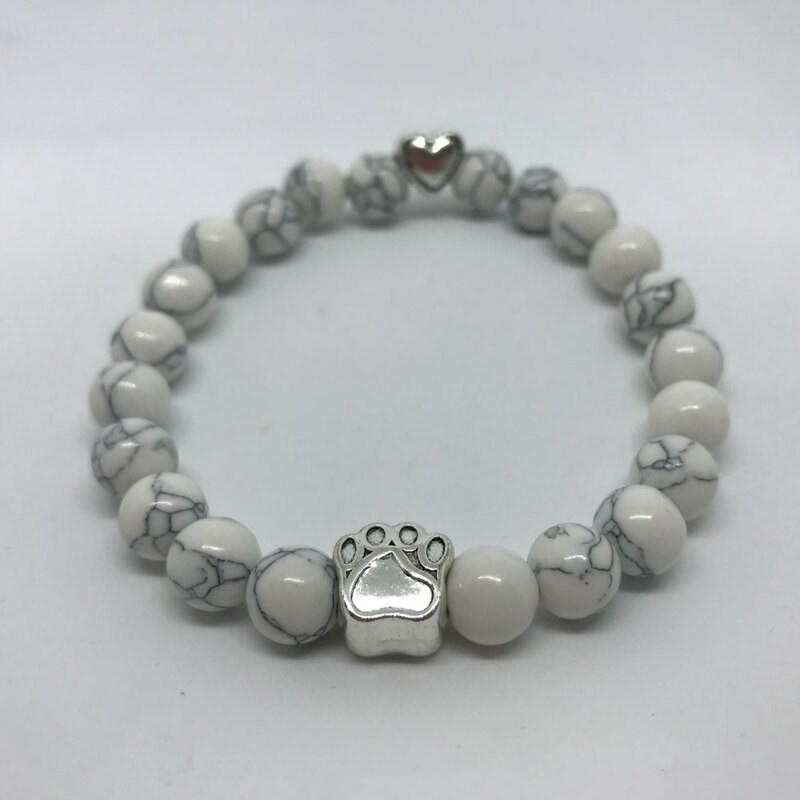 Very nice bracelets reached in 14 days. good material. Thank you. I wish the silver plastic pieces were metal.